You can select where the action is implemented depending on which context you need in the process. 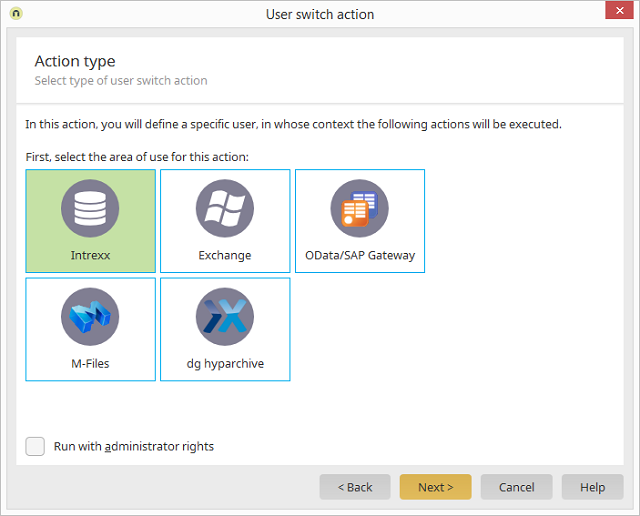 With this setting, the following actions will be executed independent of the permissions of the user which is selected in the user action. If the setting is not activated, the permissions of the selected user will be checked, when the subsequent actions are executed.